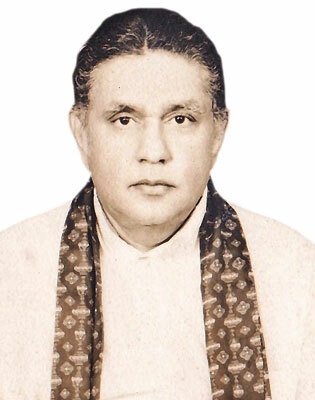 Dr. Nissanka Parakrama Wijeyeratne, a great scholar, an exemplary administrator, a genuine lay disciple of the Buddha and above all an illustrious statesman of post-independent Sri Lanka died on January 7, 2007. This brief tribute is written so that the present generation may remember this great personality from whose life and work a great deal of inspiration and lessons can be drawn. In August 1960, I was invited by two well-known Buddhist leaders Ananda Semage and Pushpa Hewavitharana to join them on a pilgrimage to Anuradhapura. On our arrival at Anuradhapura they went to Town Hall where a special meeting was held to inaugurate the Anuradhapura Preservation Board. They walked up to the front seats reserved for special guests and I sat right at the very end of the packed hall as I had no invitation. On the stage were three Nayaka Theras of Atamastana, Local Government Commissioner P.K. Dissanayake and the Government Agent and Chairman of the Board Nissanka Wijeyeratne. The meeting was about to commence when Wijeyeratne suddenly got down from the stage and straight came to where I was seated. I got up and looked at this handsome and lively personality whom I had known for some time. He held my left hand with his strong right arm and said: “Ariya, Come with me to the stage. When going up there I was thinking of you. Now miraculously you are here. Give your ideas to make this historic inauguration a success.” He got me sit right next to him. After pansil was administered, Wijeyeratne made a brief speech and asked me to speak. I recollected at that moment the lofty ideals we were discussing when we met on earlier occasions, especially when he got me to accompany him to Jaffna, Mannar and Vavuniya which came under his purview. The visit we made to a famous Hindu Sadhu who predicted bloodshed within a couple of decades came to my mind. Also making the sacred city of Anuradhapura, which was our capital for over 12 centuries once again and also making it the capital of the Buddhist world and so on were topics we always talked about. I thought I should immediately propose a concrete people’s participatory course of action to resurrect the sacred city of Anuradhapura. I proposed that the entire jungle area between Sri Maha Bodhi and Ruwanweliseya should be cleared and a broad pathway should be constructed so that pilgrims could have easy access between these two sacred sites. Secondly, we should clear land for a new main road to Anuradhapura bypassing the sacred city as conceived by Wijeyeratne himself. Furthermore, all of us should support Wijeyeratne’s effort with the cooperation of the Police and other authorities to remove all brothels, liquor dens and all other unauthorised shelters from the vicinity of Sri Maha Bodhi and Maha Seya and the entire sacred city. On my part I agreed to bring 1,000 volunteers to Anuradhapura from December 25, 1960 to January 3, 1961and complete the two physical tasks I proposed. The Education Director promised accommodation at Anuradhapura Central College, the Rural Development Supervisor promised to provide food for seven days, the Local Government Commissioner promised all tools and equipment and Leel Gunasekera who was an Assistant Government Agent promised to conduct an educational programme every evening after work on the Anuradhapura Period. As we planned, everything was accomplished beyond our expectations and by the first week of January 1961, a new era for the Sacred City as well as a new beginning for the modern Anuradhapura city began under the guidance and leadership of great visionary administrator, Nissanka Wijeyeratne. I am happy that I could play a small role in his inaugural effort to transform the city. My association with him which became stronger in Anuradhapura lasted all his life. He became a close associate of L.H. Mettananda and worked as the Vice-President of the Bauddha Jatika Balavegaya in the 60's. He entered politics and rendered invaluable services to education, higher education and justice as a Cabinet Minister. During this period I met him with his wife and five children Neranjan, Mano, Anuradha, Lankesh and Nishangani almost every week at his Colombo residence like a family member. Whether it was in the Ministry of Education, Higher Education or Justice Ministry he included my name in his list of advisers although we rarely met in an official capacity. This demonstrates the gratitude of a great man towards an ordinary citizen like myself. He was no ordinary party politician. He was a statesman of the highest caliber. He looked at every national problem from a scholarly depth. The New University Act gave birth to six new universities. He also proposed the establishment of the University of Ruhuna and the Open University. The opening of President Colleges was also his idea. He permitted schoolchildren to wear uniforms conforming to their own tradition and culture. In 1978, he was decorated by conferring an honorary doctorate in recognition to his contribution to education. The new Court Complex at Hultsdorp was another national need he contributed to fulfill with Chinese government assistance. The 10 year period he occupied the high position of Diyawadana Nilame of the Temple of the Tooth Relic was a very progressive period for the temple. His three years as an Ambassador to Russia and his involvement with UNESCO Executive body brought much fame and benefit to our motherland. The Cultural Triangle was another great contribution he made to our country. I remember his 77th birth anniversary celebrations held in Colombo at which a collection of poems written by him Ape Appachchi was published and presented to him as a surprise gift by his children. I also remember the beautiful speech which was delivered by Indian High Commissioner Gopalkrishna Gandhi at that occasion. Dr. Nissanka Parakrama Wijeyeratne, a son of Sir. Edwin Wijeyeratne, a Cabinet Minister and diplomat in the first free government of Sri Lanka, equaled his father to serve Mother Lanka. He should be remembered by generations to come as an illustrious statesman of our times.